Our April theme is "Your favourite embossing technique"! That's really easy for me, because this is my most used technique. 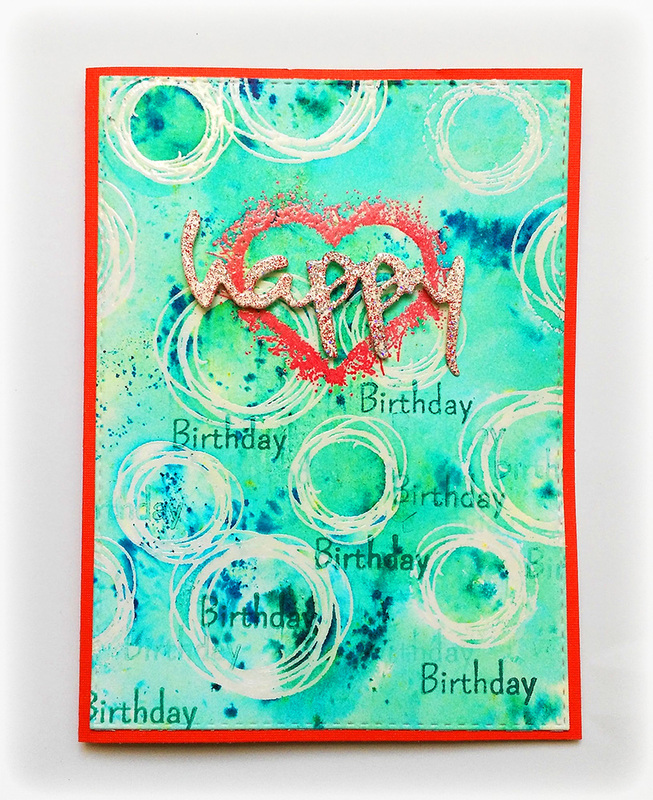 Embossing resist! I LOVE to use Brushos on a embossed background. I used the "Hearts & Twine" stamp set and embossed the circles with clear gloss powder on watercolour cardstock. As I wanted the heart to stand out, I used Memento Luxe Love Letter instead of clear embossing ink. I wet the background and sprinkled some Brusho Sea Green on top. The Birthday comes with the "Just Sayings" stamp set. I stamped it with StazOn Emerald City randomly onto my card. 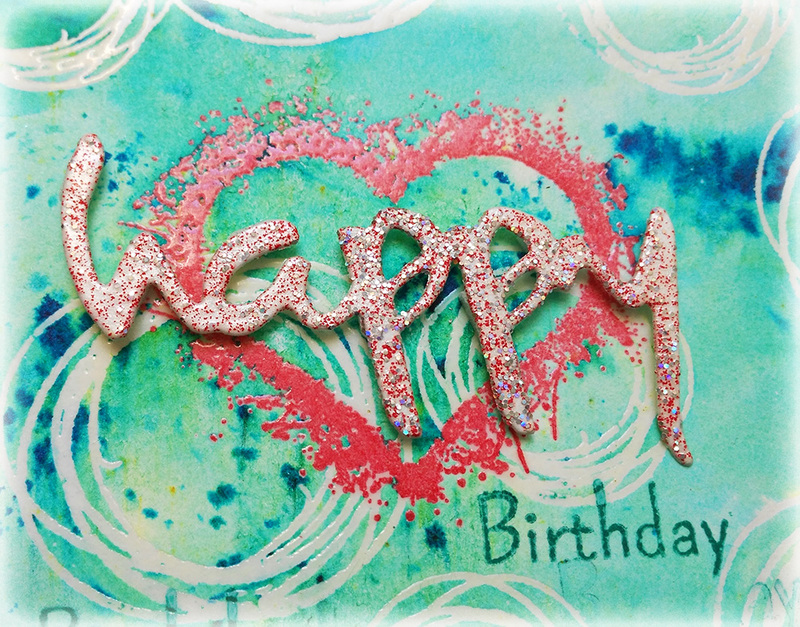 I cut the "happy" with a CUTplorations die and covered it with Salsa Embossing Glitter. Finally I adhered it with foam dots to my card. Memento Luxe Ink "Love Letter"